Steampunk style truly is a unique and impressive thing, although it can also be somewhat intimidating when you're new to it all. 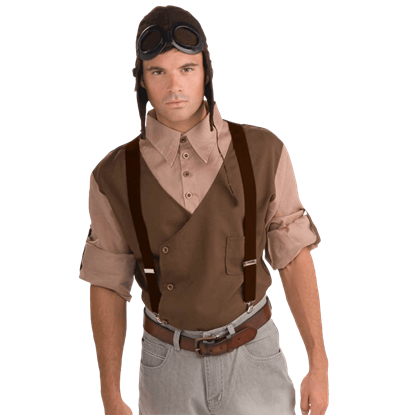 Medieval Collectibles is here to help, though, offering a number of Mens Steampunk Costumes that make putting together your first Steampunk styled look simple, easy, but still fantastic. 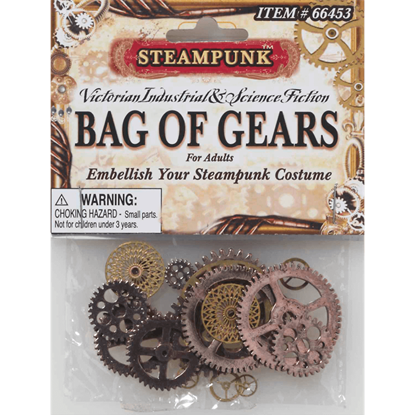 Here in this section, you'll find several different items, all of which are designed to help you build and enhance your own Steampunk-era looks, creating a range of costumes that fill a variety of roles. 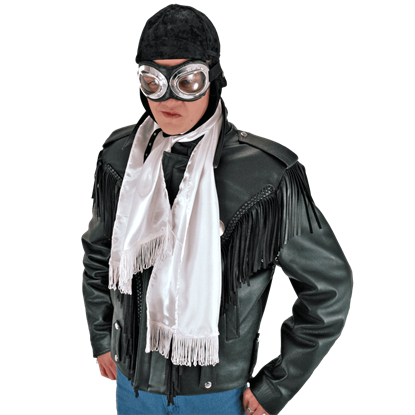 If you're looking to be as airship captain or a steamship pirate, you'll find the costumes here to create just that look, as well as accessories like scarves to add a touch of old-world aviator feel to the costume. 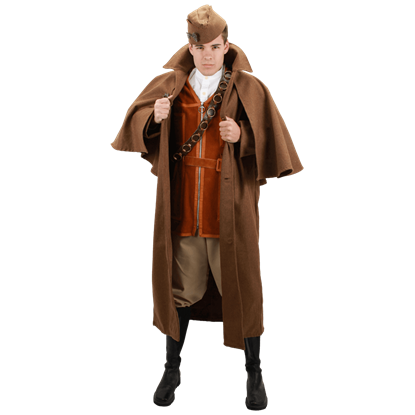 Virtually everything you need to create your ideal Steampunk look is here, ranging from full costumes for gunners, engineers, pilots, soldiers, and much more, as well as all the accessories you'll need to flesh out those costumes and give them a personal touch that's all your own. 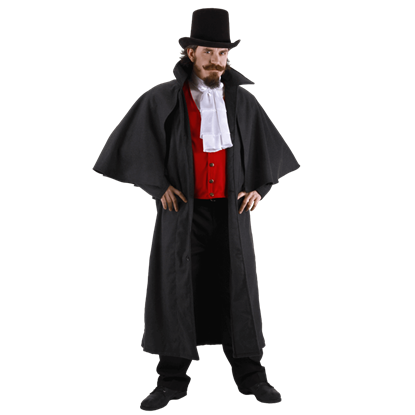 You can add wicked looking coats to your costume for added layers of warmth and appeal, as well as holsters to keep your guns close at hand. 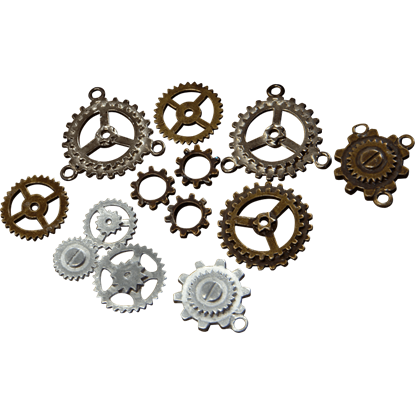 Heck, even a few extra cogs and gears, also found here, will help give any Steampunk look that techno-infused style that really defines a Steampunk-styled costume and really makes it stand out in a crowd. Don't let the daunting task of putting together your first Steampunk costume be a hard one. Stop by Medieval Collectibles and check out our Mens Steampunk Costumes section, were we've taken the headache out of creating impressive Steampunk looks, and left only the wild and wonderful world of Steampunk style and tech, for you to enjoy year-round for Halloween, costumed events, and of course, gatherings of like-minded Steam-inspired individuals. You will find almost all the accessories you need to be an aerial ace inside this Aviator Kit! 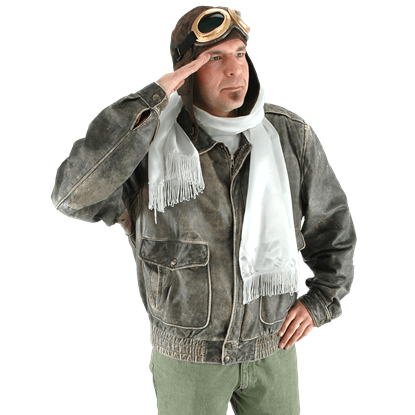 This kit includes a classic brown cap, a long simple white scarf, and a pair of protective goggles, all which help to create a pilot style. A good pair of pants can be the solid foundation on which hundreds of different Steampunk costumes are built. 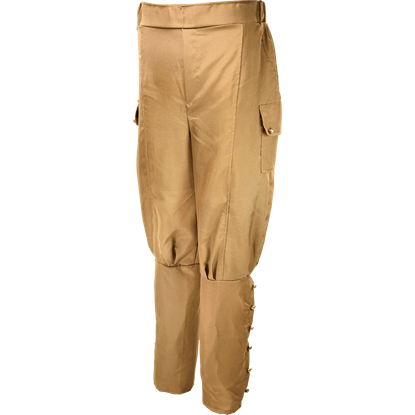 These Brown Steampunk Pants are a great pair of pants that offer good style and great convenience, all in one package. In the modern world, the use of suspenders has declined since the mid-19th century, although in a Steampunk world they remain a popular accessory. The Dark Brown Steampunk Suspenders are a great addition for style or necessity. A great jacket can make or break a costume or outfit. This Gray Inverness Jacket is a striking garment that is modeled after Victorian and Edwardian coats that were once worn by gentlemen of all types, rich and poor alike. A great jacket can make or break a costume or outfit. Luckily enough, this Inverness Jacket is quite the garment, modeled after Victorian and Edwardian coats that were once worn by gentlemen of all types, rich and poor alike. There is no telling what gear-filled wonders await you on your next alternate timeline expedition. 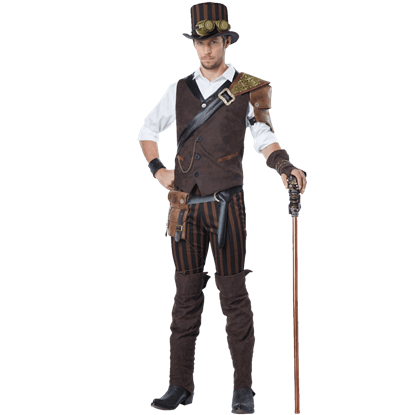 Be well prepared and stylishly outfitted for any Neo Victorian occasion when you wear the Mens Steampunk Adventurer Costume. 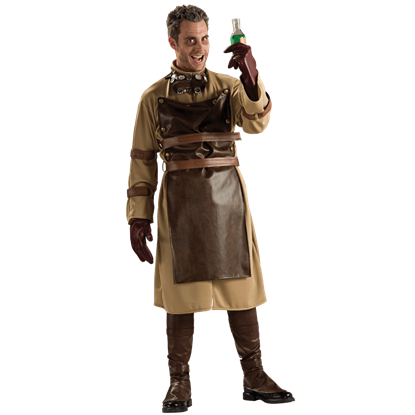 If you have been looking for a mad scientist costume, we have one for you that, with the right expression, is guaranteed to make you look at least half-mad - the Mens Steampunk Scientist Costume. Volatile Chemicals Sold Separately.